Inspection of raw materials/finished products for both physical and chemical properties. 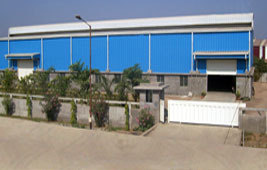 We are a Worldwide Manufacturer and Exporter of Manufacturer and Exporter of Nuts, Bolts, Studs, Screws, Washers, Cap Screws, Sockets, Threaded Bars, Threaded Rods, Structural Fasteners, Machine Screws, Auto Fasteners,U-Bolts, Tension Control Bolts, Shear Connectors, Foundation Bolts and Fasteners as per customer drawing and specification in High Tensile and Stainless Steels. From High tensile to stainless steel, metric and inch series fasteners, specialty, or custom fasteners, we provide the right part, at the right price, on time-every time. Our precision fasteners are manufactured with the perfection under tough checks by (Indian Standards Institute) and testing by (National Accreditation Board for Testing and Calibration Laboratories) accredited laboratory in name of MANJULA LABORATORIES (IEC/ISO 17025) that our customers require. We specialized to select best raw material so that mechenical properties can be achieved for suitable and long term usage of our products. Fasteners as it looks as very very small component but it is joining to big and critical parts. We unterstand this and made regular R and D on the raw material and heat treatment and other concern areas of manufacturing. In any case our goal is to supply right price, on time-every time with required decumentation. Test Report are acceptable in govt./semi govt. department as well as for export purpose also. home | about us | products | quality | infrastructure | achievements | career | contact | enquiry | sitemap | become a dealer | become a supplier | fasteners Copyright � 2012 Pioneer Nuts and Bolts Pvt. Ltd.